Birthdays and holidays alike are fun. 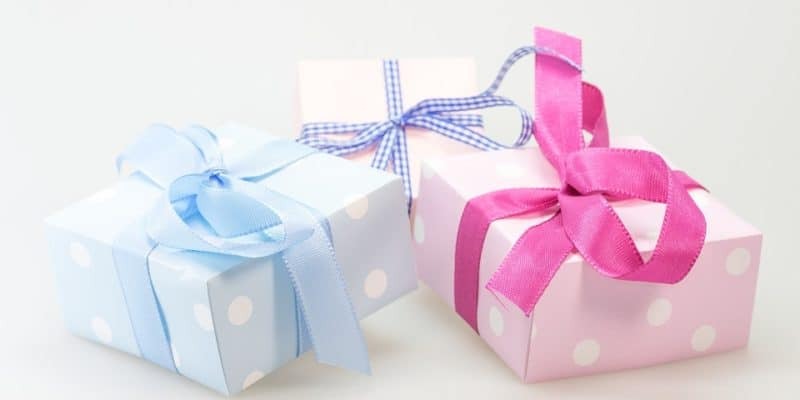 Shopping for or making gifts by hand make these occasions extra exciting, but what should one do when birthdays and holidays occur on the same day? If you don’t want to allow holidays to outshine birthdays, below is a list of ideas that one could implement to give his friend the perfect birthday gift. Easter is a day that Christians celebrate as Resurrection Day. The non-religious celebrate it as well. Whether people are religious or don’t identify with any religion, they are familiar with one of Easter’s symbols: the egg. Purchasing or handcrafting an egg-shaped piggy bank would make a fitting gift for anyone with an Easter birthday. “In fourteen hundred ninety-two, Columbus sailed the ocean blue.” This is a common phrase that helps people remember when America was discovered. For loved ones who were born on this fateful day, a globe will serve as a nice birthday gift. Not too many people would like to be given a giant globe, however, so pick up a snow globe from the store. Snow globes can be found containing maps of the entire earth. Some even have longitude and latitude lines. Because Columbus Day is when Christopher Columbus discovered America, place a note on the globe that says something sweet such as Happy Birthday, America, and Happy Birthday, My Friend. If you’re artsy, you can make this gift, yourself. Glitter bombs have become popular. These are envelopes or other containers that contain glitter that explode into a color sensation when someone opens them. Gift the one with a birthday a glitter bomb. Choose the colors red, white, and blue for the glitter, and construct the glitter bomb well so that when the bomb is opened, the glitter is explosive just like fireworks on the Fourth of July. Notes always make things even more intimate, so leave a note in the bomb wishing them a sparkly, explosive birthday. To keep with the theme of July 4th’s fireworks, tell them they light up your world and add light to your night. If you ask someone what his favorite holiday is, chances are you’re going to hear the word “Christmas” leave his mouth. Christmas is one of the more cherished holidays because of all the gifts received and the love spread. But let’s face it: no one wants to receive a red and green sweater for his birthday. And he’ll already be receiving tons of gifts simply because it is Christmas, so then what are you to get someone who was born on December 25th? Something he can use: money. Place the money in a box and give it to the birthday boy. To keep with the day’s theme, attach a note that says A little reindeer told me that you like green things. The main symbol on Valentine’s Day is the heart. Don’t gift anyone a heart-shaped box of chocolates nor an expensive ring or necklace for her birthday. Cut a piece of cardboard or poster board into the shape of a heart. Gather red, pink, and white items that the person would like (i.e., a nice sweater, a pack of candy, pictures you took together). Pin each item onto the cardboard or poster board until the entire board is covered with gifts. Give your friend her birthday gift. Gift ideas for this day are pretty easy to decide on; just choose dark colors. Anything in the colors black or orange would be a fitting birthday gift. Opt to buy your friend a black shirt or outfit. If you would like to go another route, bake your friend a cake or cupcake. Use black food coloring to make the cake dark then decorate the cake with whichever color frosting or decorations you’d like. When your friend bites into her cupcake or cuts into her cake, the Halloween-themed color will pop out at her. Write each word down. Then write a funny, loving card that highlights the words. A good way to start off the card would be I didn’t want to sound too CHEESY, but I have a lot of STUFFing to say to you. This is a time when everyone has new goals. Give your friend a journal or planner that will help her keep track of and achieve those goals. Start the year off “WRITE” by writing down every goal and every step to achieve each goal. I’m rooting for you this year.